All Web Hosting and Reseller Hosting accounts with HostOX come with the ability to update all your PHP settings and PHP versions on a per account basis. 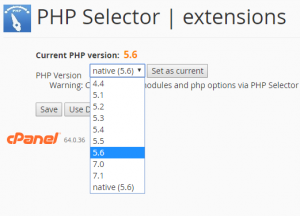 If you are having any errors relating to the PHP configuration, please login to your cPanel and follow the below guide to customise your PHP settings or version. Once you have chosen the version you wish to use make sure you hit the ‘Set as current‘ button and then to the bottom of the page hit ‘save‘ if you wish to remain on the same version as the server native version just choose that version without ‘native‘. 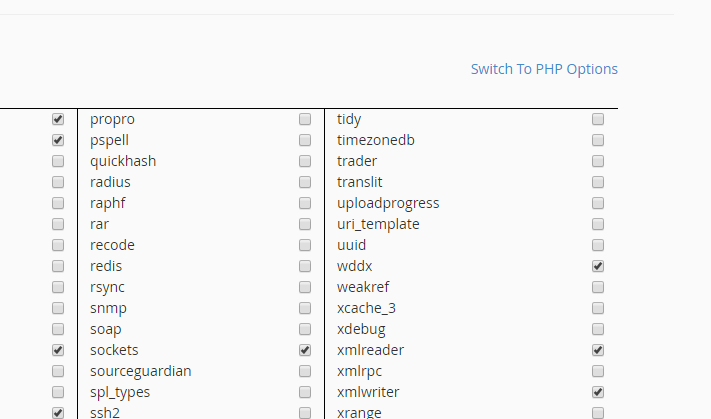 To get to the page where you can change the values of your PHP memory and the other good stuff, you will need to click ‘Switch To PHP Options‘ which you can find on the top right hand corner of the PHP settings page, click it. From here you can change most of the PHP settings you should ever need to change. 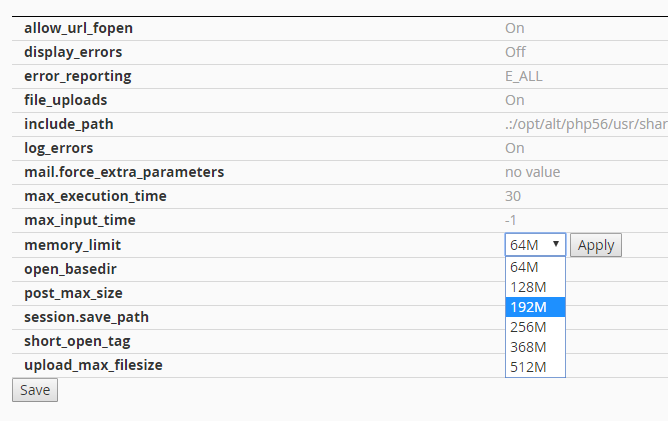 To make changes you would click on the value such as Memory Limit you would click the value, choose the new value and hit ‘apply‘ the same method applies for all of the values. Most accounts only require the max filesize settings and memory limit settings updating, if you require something that is not listed please contact our support desk. 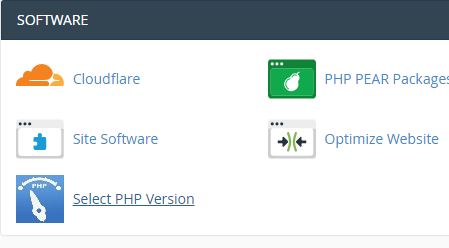 This entry was posted in cPanel and tagged cloudlinux php selector, cpanel php, php hostox, update php cpanel hostox.